Ancestral ritual in early China was an orchestrated dance between what was present (the offerings and the living) and what was absent (the ancestors). The interconnections among the tangible elements of the sacrifice were overt and almost mechanical, but extending those connections to the invisible guests required a medium that was itself invisible. Thus in early China, ancestral sacrifice was associated with focused thinking about the ancestors, with a structured mental effort by the living to reach out to the absent forebears and to give them shape and existence. Thinking about the ancestors - about those who had become distant - required active deliberation and meditation, qualities that had to be nurtured and learned. 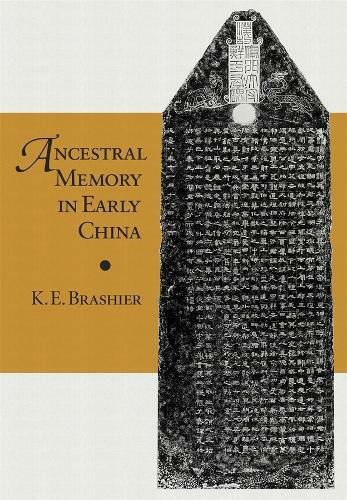 This study is a history of the early Chinese ancestral cult, particularly its cognitive aspects. Its goals are to excavate the cult's color and vitality and to quell assumptions that it was no more than a simplistic and uninspired exchange of food for longevity, of prayers for prosperity. Ancestor worship was not, the author contends, merely mechanical and thoughtless. Rather, it was an idea system that aroused serious debates about the nature of postmortem existence, served as the religious backbone to Confucianism, and may even have been the forerunner of Daoist and Buddhist meditation practices.